Today, I'll show you how I make raw string bean puree. For my first baby, I made his food the regular way, steaming or boiling veggies and then smoothing them with the blender. Raw foods can cause constipation and some people, including babies of course, are more sensitive. My next post will be about how to help your baby be more "regular" in a raw way. Offering daily doses of water is evidently important, once baby is introduced to solids. Another way to use frozen produce is once you have thawed berries in the fridge, you can pour the resulting liquid into your baby's cereal. 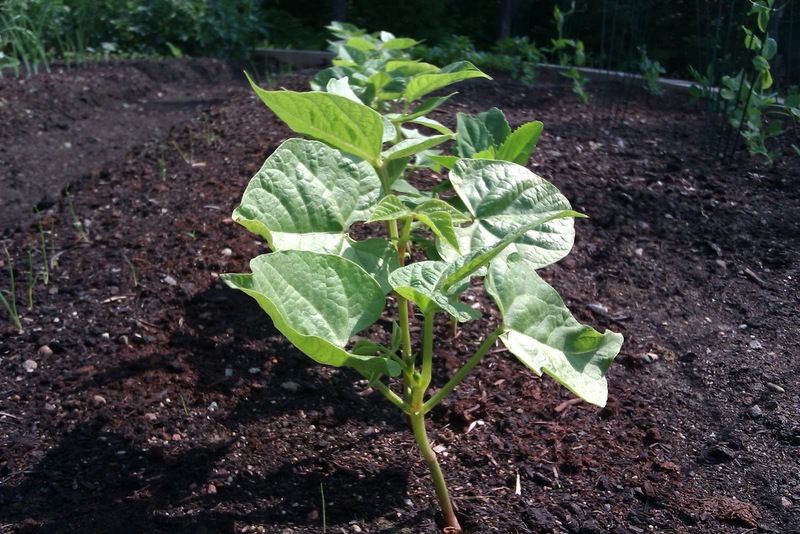 That is pure tasty antioxidant power, without seeds and cooking! 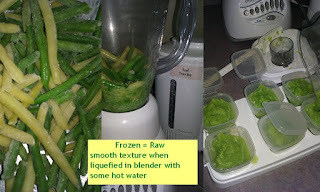 So here's how I make frozen string bean puree, I measure 3 cups of beans, place in blender end add 1/2 cup previously boiled hot water. Blend to a liquefied state and voilà, it is that easy! I quite like the baby cube system to freeze but any covered ice tray can do the job. Cover how? There's a perfect use for an empty bread bag!